Tuition Assistance Troubles, 2014 Pay Raise Information and More! Navy Cross to be Upgraded? 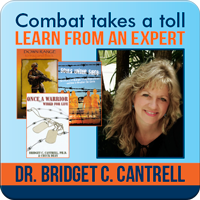 To learn more about our confidential chat with Dr. Bridgett Cantrell tomorrow, Thursday, December 12, 2013, please click here! Despite a promising report from Marine Corps Times in late November, Marine Corps tuition-assistance programs are desperately short of funding. 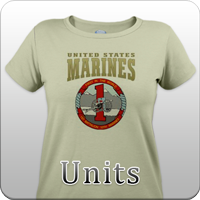 See what this means for you or your Marine in our first article. Due to new evidence, as well as a determined set of supporters, a heroic Marine's Navy Cross may be upgraded to the Medal of Honor by Secretary Hagel. Learn more about it in our second piece. Due to budget constraints, the Senate and White House have limited next year's military service member pay raise to 1 percent, the smallest annual increase in military pay in 40 years. Read more about this in our third article. 65 years ago this week, the foundations of the Marine Security Guard program were laid when the Secretary of the Navy and the Secretary of Defense signed a "Memorandum of Agreement." Read more about the "Ambassadors in Blue" in our fourth piece. 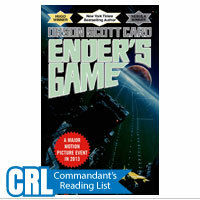 Next, we have a series of quick read articles. 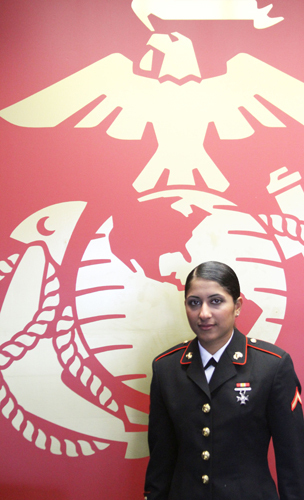 Learn about the journey of an Iraqi woman who went from military translator to U.S. Marine and about two Marine families that received wonderful holiday surprises this year in our second-to-last piece. Finally, the holiday season is upon us and that means it's time to start shopping for gifts for loved ones. 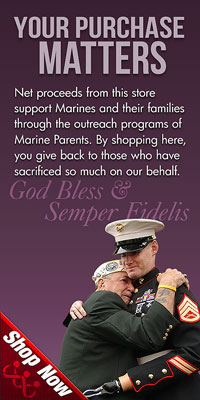 If you're not sure what to get someone this year and are looking for ideas, consider MarineParents' "A Gift in Your Name" option from our EGA Shop. Learn more in our final article! In a Marine Corps Times story published Nov. 22, the publication reported that the Marine Corps planned to spend $44 million on the educational assistance program during the 2014 fiscal year, and that only one-third of the $11 million first quarter budget had been spent so far. However, due to either incomplete or erroneous information, that now appears to be incorrect. Instead of $11 million, it appears that the Corps only had $3.5 million available for tuition assistance during the first quarter, and that money was quickly distributed among installations based on historical use over the past three fiscal years. Despite the fact that President Obama's 2014 spending plan included $44 million for Marine Corps tuition assistance programs, Congress has yet to pass a budget amid its ongoing battle over the budget and debt ceiling. As of now, it is unclear how much money will be available for the second quarter, but the amount may be similar so eligible Marines looking to take advantage of these funds should apply now. On November 15, 2004, 25 year old Sgt. 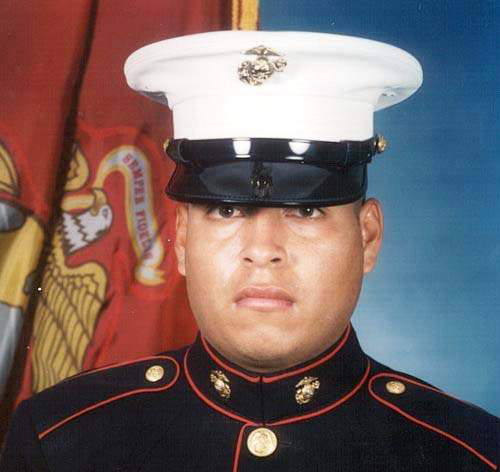 Rafael Peralta was killed while on patrol during the Second Battle of Fallujah, Iraq. That day, Sgt. Peralta and his team were clearing houses in the city as a part of Operation Phantom Fury. Despite not being required to enter the houses himself, Peralta chose to do so anyway. Sgt. Peralta and his squad cleared their first three houses without incident but, while inspecting the fourth, insurgents with AK-47s opened fire on the Marines, striking Peralta multiple times. As other Marines returned fire, insurgents threw a grenade at the Marines and the two Marines with Peralta were unable to exit the room. Reports from the Marines who were with Sgt. Peralta state that despite being severely wounded, Peralta reached out and pulled the grenade to his body, absorbed the blast and shrapnel, and instantly lost his life, allowing the Marines on his team to survive. Negotiations in Congress have resulted in a 1 percent military pay raise for 2014, which would be the smallest annual increase since we went to an all-volunteer military in 1973, edging out 2011's 1.4 percent increase, which had been the previous all-time-low. Military service members should be due a 1.8 percent increase under the federal pay formula that is still a part of permanent law, and the House approved that 1.8 percent raise in June, but the Senate Armed Services Committee backed President Obama's August 30 decision to exercise his power as the government pay agent to cap the increase at 1 percent. The 1 percent raise, effective January 1, 2014, will also end a string of 21 consecutive years in which the military pay raise matched or exceeded private-sector wage growth. 65 years ago this week, on December 15, 1948, then-Secretary of the Navy John L. Sullivan and then-Secretary of Defense James V. Forrestal signed a "Memorandum of Agreement" that laid the basis for the foundation of the Marine Security Guard program. 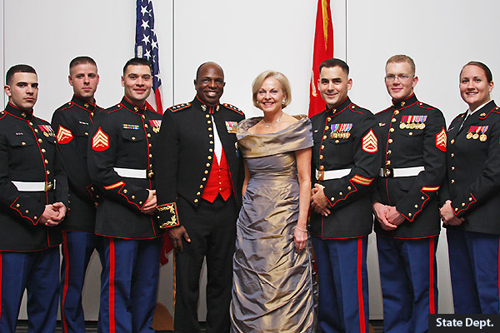 In the six-and-a-half decades since, Marine embassy guards have served with honor and distinction, protecting U.S. diplomatic missions, interests, and personnel around the world. The Sunday before Thanksgiving saw one Marine family in Michigan receive a surprise that made this year's holiday one they'll never forget. On Sunday, November 24, the family of Marine Captain Josh Munsee was invited onto the field during a break in play during an NFL game between the Detroit Lions and the Tampa Bay Buccaneers to watch a special video message from him (Munsee) in Afghanistan. As Munsee's wife and three children watched the video, Munsee, who wasn't scheduled to return home until February 2014, jogged out onto the field with a bouquet of flowers to a huge ovation from the fans and a stunned family. Give "A Gift in Your Name"
The holidays are upon us and you know what that means--it's time to start shopping for Christmas gifts for family members and loved ones! If you're struggling with what to get for people this year, we encourage you to consider our "A Gift in Your Name" option. To give "A Gift in Your Name", just visit our EGA Shop and follow the instructions. 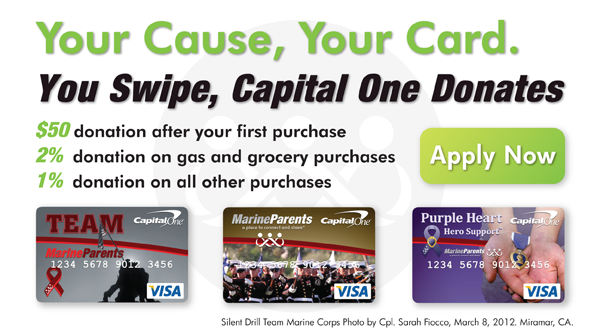 You will first have to decide if you want to donate to Purple Heart Hero Support (PHHS) or to the Care Package Project (CPP). If you choose to donate to PHHS, you purchase a gift donation this holiday season, and we'll send a gift card to your gift recipient letting them know that you've made a donation in their name. You select the amount of your gift donation in $25 increments. 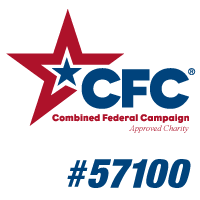 If you choose to donate to CPP, you purchase a gift sponsorship this holiday season, and we'll send a gift card to your gift recipient letting them know that a care package will be sent on his/her behalf to a Marine in Afghanistan. Your gift recipient's name will be included in the overseas package to be mailed out January 18, 2014. 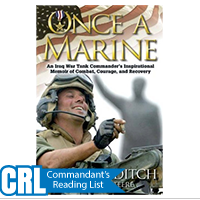 The Marine may choose to write back to your gift recipient. Your gift sponsorship can be for one or several care packages.